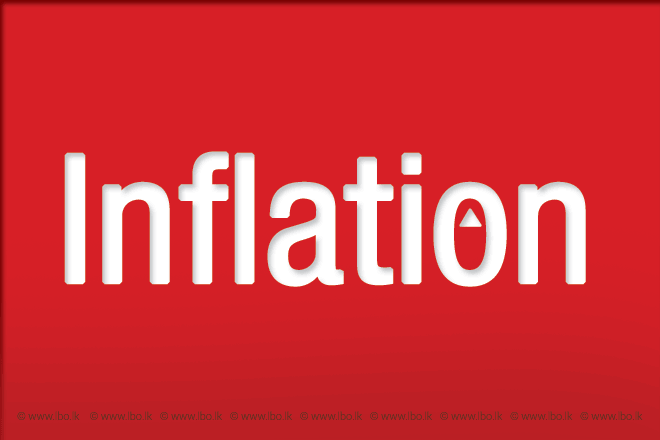 Apr 25, 2016 (LBO) – Sri Lanka’s consumer prices as measured by National Consumer Price Index rose 2.2 percent in March from the 1.7 percent inflation reported a month earlier on year-on-year basis, data from the state statistics office showed. The National Consumer Price Index has been compiled as 110.0 for March 2016 and shows a decrease of 0.8 index points or a percentage of 0.72 compared to the previous month’s index of 110.8. This change is due to the value change decrease of food items by 0.73 percent and value change increase of non-food items by 0.07 percent. The value change of food commodity group has decreased by 0.73 percent in March compared to previous month and the value change of non food commodity group has increased by 0.07 percent. 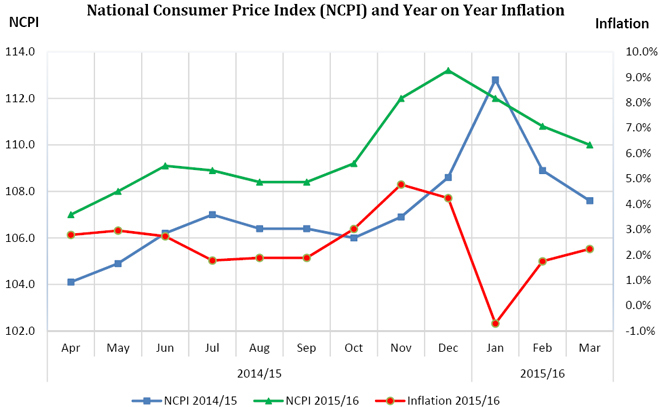 National Consumer Price Index is the latest Consumer Price Index released by the Department from October 2015 with a time lag of 21 days.